We are privileged to welcome you to Church at the Well for your first time visit! What a joy to have you join us in worshiping the Father. We trust you’ll be greeted warmly as we truly consider and serve each other as family. You’ll quickly find that we like to keep things simple! This isn’t a who’s who sort of place. Jesus taught practical Truths and wasn’t about the flashy lights or fancy jewels. We humbly and genuinely seek to love one other as Christ loves us. We’re passionate about demonstrating the kind of church described in the Bible, where there's down to earth teaching, heart-felt worship, honest friendships, constant prayer, and compassionate care for those in need. Our doors are wide open to people from all backgrounds, regardless of where they are on their spiritual journey. We don’t expect anyone to show up as the “perfect Christian” and certainly there are NO perfect Christians here! We admit we need God and each other to fulfill our God given destinies. So whether you're just starting to wonder about who this “Jesus” guy really is, or you’re a committed Christian who wants to use your gifts to serve others, come as you are. We lovingly welcome you to Church at the Well! We would like to get to know you & feel like it should be easy for you to get to know us too! Use the links below to learn more about us. Click here to fill out a visitor form. We believe in the Holy Scripture as the Word of God. We believe in one God, existing in three persons - Father, Son and Holy Spirit. We believe that Jesus Christ, Son of God, became man without ceasing to be God in order to reveal God and redeem man. We believe that the Holy Spirit indwells, guides, instructs and empowers the believer for godly living. We believe that salvation is possible only as the gift of God's grace, and is freely bestowed on all who accept Jesus Christ as their Lord and Savior. We're a "come-as-you-are" kind of people, who want you to get plugged-in and feel right at home. We are men, women, children, plumbers, electricians, country folk, city people, businessmen and women, students, teachers, motorcycle riders, athletes, artist, young, and old, but most of all WE ARE FAMILY. Whether you've attended church your entire life, or never at all, we know it's not easy visiting a church for the first time. You aren't quite sure what to expect, and you probably have a lot of questions. At The Well, we want to give you the best experience possible, and answer any questions you may have! We gather together Sunday mornings to be taught and encouraged in our faith. For those unable to attend, a podcast is available on our website. On occasion, we participate in the Holy communion, baptisms, and dedications. How does a typical service go? Service begins at 10:00 a.m. with music, followed by a brief time of announcements and receiving of the giving. The children are then dismissed to children's church, and the preached word is delivered. You can expect a time of fellowship and socializing where you are also able to greet new or visiting members. There is usually hot coffee, tea and treats still available! (Free of charge, of course). We are conveniently located off St. Johns Pkwy. at 119 Bellagio Circle, Sanford, FL 32771. What happens when I arrive? How do I get more information? An usher will warmly greet you at the door with a bulletin, and can help direct you to a seat. He will be able to answer any service relation questions (such as where the bathrooms may be or when to take your kids to children's church). Once past the foyer, there are church elders walking about, making sure everyone is taken care of. They are happy to assist you with any of your needs! We offer guest information packets in the foyer, and encourage you to fill out the visitor information inside the packet (or available online). You may give this to any of our greeters, or turn it in during the giving. This information will help us get to know you, and will give our pastors the opportunity to personally reach out to you. FOR MORE INFORMATION, please have a good look around our website, or get in touch via our contact page and someone will get back to you as soon as possible. We're excited to get to know you! Am i going to be dressed right? We are a simple and casual church. There's no need to dress up, unless that makes you feel more comfortable. Being here is more important than what you wear! Whether you sport a suit and tie, flip-flops and jeans, or shorts and tennis shoes, you're likely to find someone dressed in a similar manner. Our pastors have been known to wear their favorite team's jersey on game day! We are more concerned with your heart than we are your attire. We worship to a variety of contemporary music. Intimate, heartfelt praise and worship as a church family is one of our top priorities at The Well. If you want to know more about our style of music and/or praise and worship, CLICK HERE. All children (ages 6 weeks to 11 years) are invited to join us in a fun, safe, clean, interactive environment where our team of trained volunteers creates an environment your child will want to come back to every week! The whole family is together during praise and worship, and then the children are dismissed to children's church before the preached word. For more information, CLICK HERE. Am I going to have to participate? We do not require anyone to participate in anything whether it be clapping and singing, giving money, or taking communion. What you choose to do is between you and God. We are honored that you have joined us, and welcome you to involve yourself as you hear Holy Spirit speak! NO WAY. You don't have to pay to come to church! grab a fresh cup of coffee (or hot tea) and a treat from The Well cafè. You can enjoy it in the lobby or sanctuary, it's up to you. 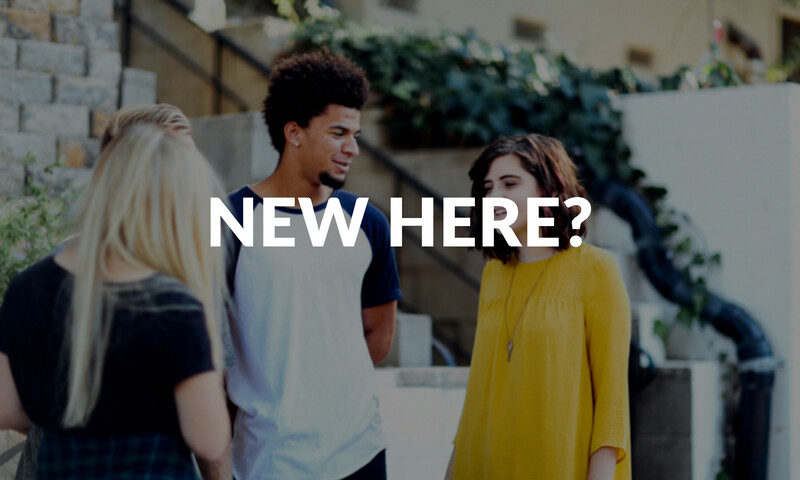 Click below to get connected with Church Life, and discover which ministry is right for you! Tell us about yourself by filling out a Visitor Form below. We're so excited to meet you!